Home » Announcements » We Love Veterans! 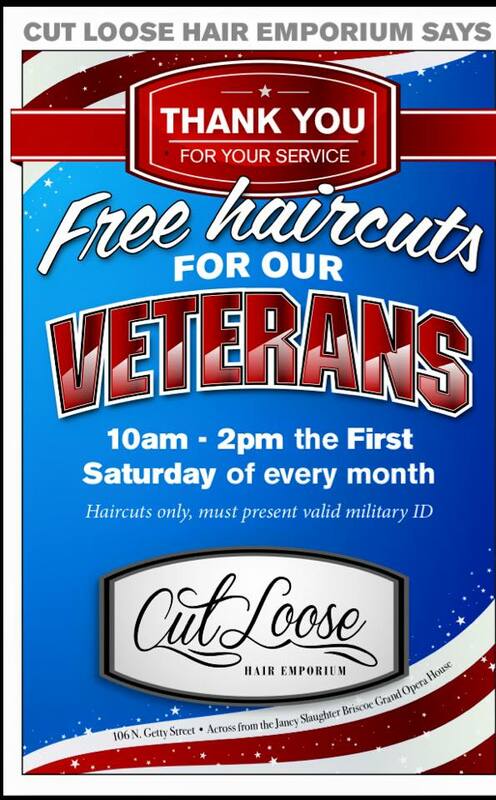 We’re offering free haircuts to our veterans on the first Saturday of each month, from 10:00 am – 2:00 pm at Cut Loose Hair Emporium (map). Bring a valid military ID or your DD214 and get a free haircut from the talented Cut Loose Hair Emporium stylists.